Worship is, has been, and always will be one of my greatest passions. My passion of leading worship perfectly aligns with my heart for youth here at HPUMC, and I’ve spent the last six months leading two different services each week. Every Sunday, our 7th and 8th grade youth come together in the Youth Basement from 9:30-10:30a for Thrive, a service tailored specifically for middle school. Our high school youth come together on Wednesday evenings from 7-8:30 in the Youth Basement for a worship service called WOW. These worship environments have become sacred ground for many of our students because it allows them to sing out to God, listen to a message with them in mind, and be in community with one another. It gives students a chance to step away from the busyness of their chaotic lives and instead experience precious moments of worship. The most exciting part about what I do is teaching the next generation of worship leaders what it means to worship closely with the Lord. Recently, I had my high school and middle worship teams come together for lunch to talk about their dreams and visions for the worship team. They excitedly told me about their desire to write and record original music and lead worship in other cities. Their ideas were free falling from their lips into our hearts and I realized that God was putting incredible passion inside of us because they had experienced the impact of worship in their lives. The many talented youth in this band take their passion even further and many of the students play in their own bands. Some play on the drum line at their high schools. More than a few have been leads in the school musicals. 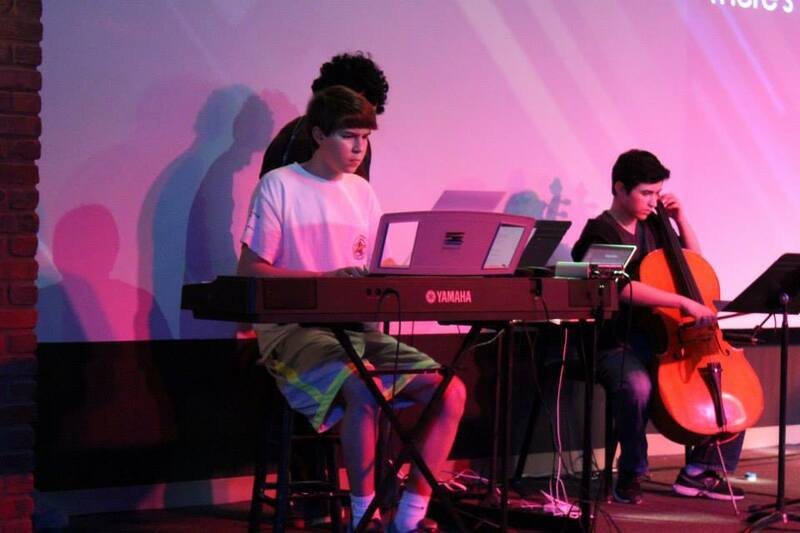 I even have youth who run light and sound for school musicals. It’s these moments where I feel like I’m watching the future of our church unfold before my very eyes. God has, no doubt, put a passion inside of them for connecting with Him through music; but more than that, God has given them the ability to recognize the impact they have on their peers when they lead worship. It pushes other students to ask why they connect with God is this way, and inquire about how they can do the same. I can confidently say that God is already doing amazing things through these youth and it brings me so much excitement to know that this is only a glimpse of what is to come. No matter who you are or where you come from, if you are in 7th-12th grade you are welcome at HPUMC Youth.